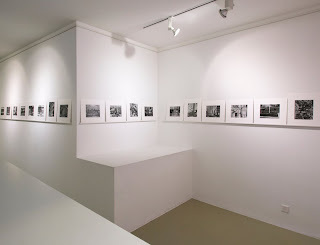 I'm pleased to announce the opening of my first Israeli solo show, "Tel Aviv 2008-2010" at Ha Midrasha School of Art's Photography Gallery. 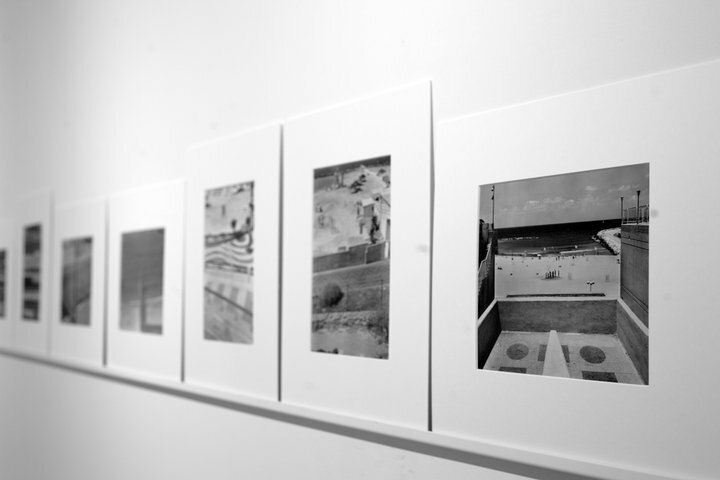 The show will run from October 21 to November 21, and is comprised of 22 silver gelatin 8x10 contact prints selected from my "Tel Aviv at 100" project by curator Noa Ben Shalom. 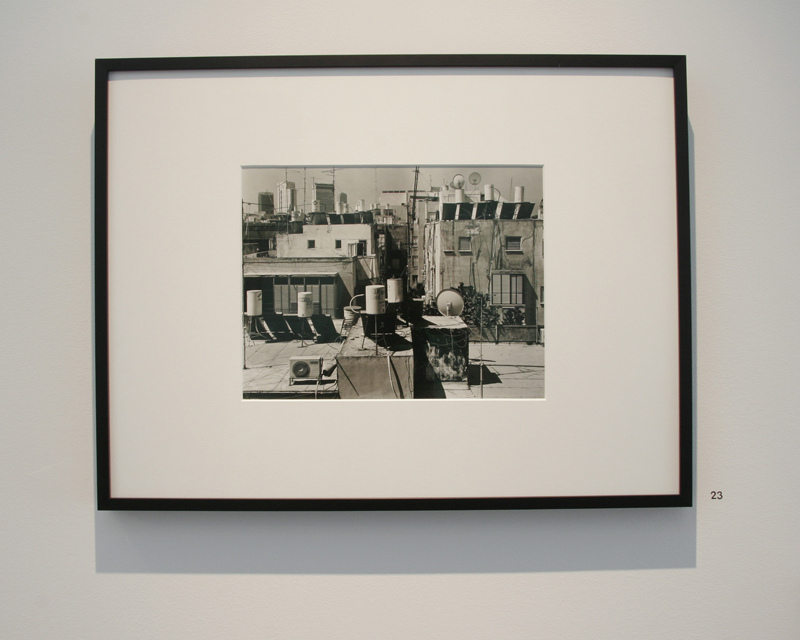 “The process of a city’s physical construction is embedded in its process of cultural structuring. Controlling this cultural structuring process of the space is perhaps deeper and more effective than any political government or party platform, because the hegemony, in contrast to all the visible configurations of government, is present in everything but also invisible to the eye-it hides behind the ’common sense’ of both rulers and ruled, their accepted opinions, what they take for granted, what they find inconceivable, their stories- and ultimately it constructs what we call ‘the normal’. 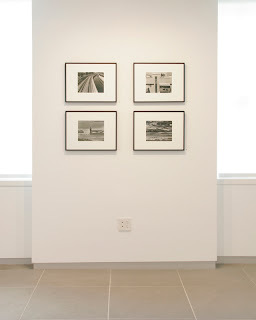 At the same time, his photographs narrate his process of getting to know the city, and propose-both in his choice of format ( a large format 8x10 camera which makes possible careful observation on a large frame, while inviting one to work slowly) as well as by his use of black and white film, and certainly in his choice of locations- a different story about a city that enjoys a reputation as a tolerant, cosmopolitan and culturally rich metropolis. My work was recently included in a couple of juried shows in the States, as well as featured in Black and White Magazine's Portfolio Issue. Here are all the details, and thanks to everyone who's taken an interest in my work. August 28 to November 7. 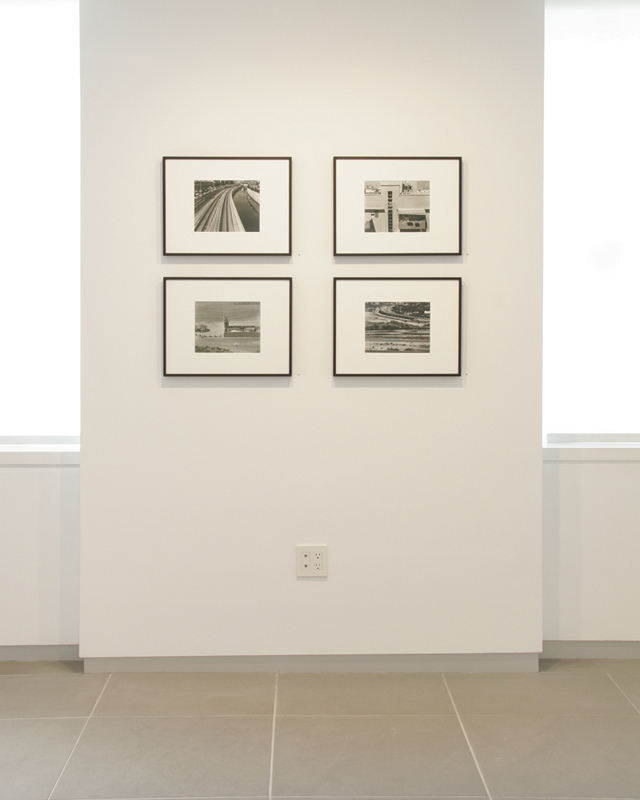 Juried by Natasha Egan, Curator of the Museum of Contemporary Photography, Chicago. 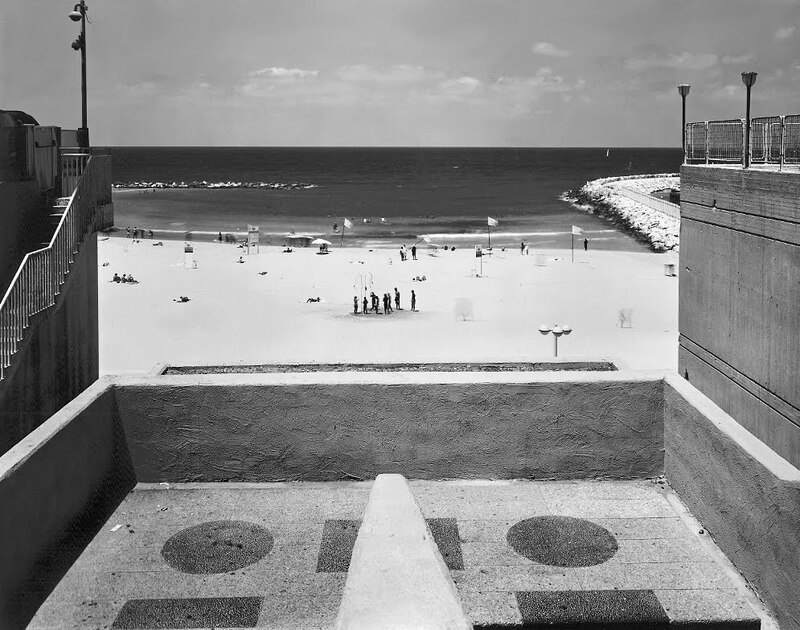 Honorable Mention for "Hayarkon Park", from "Tel Aviv at 100". You can read an interview with Mrs. Egan here about how she selected 111 images out of a pool of almost 14,000. June 30 to August 29. Juried by Joerg Colberg, editor of the blog Conscientious. "The best of contemporary photography amazes us by asking questions, by challenging us, to transform us into different persons," writes Joerg Colberg about the exhibition. 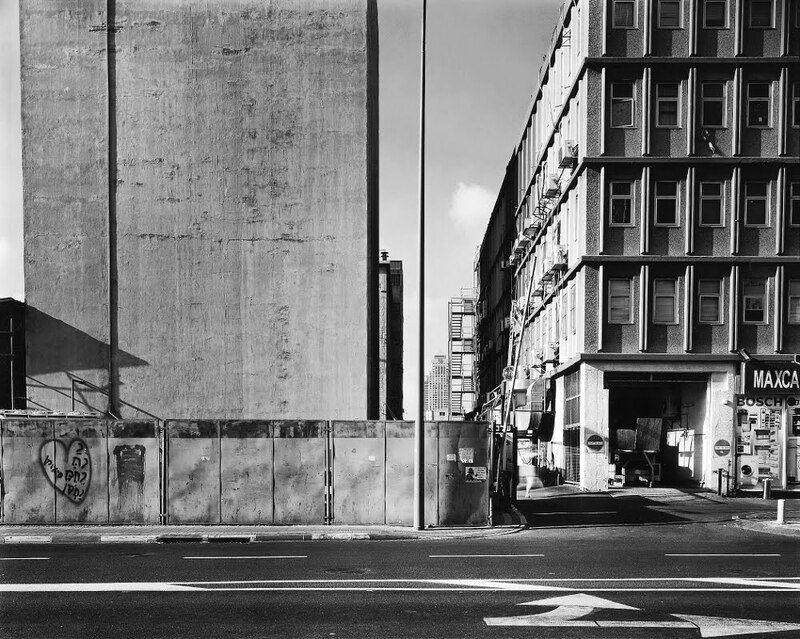 "For me, that is the essence of contemporary photography. 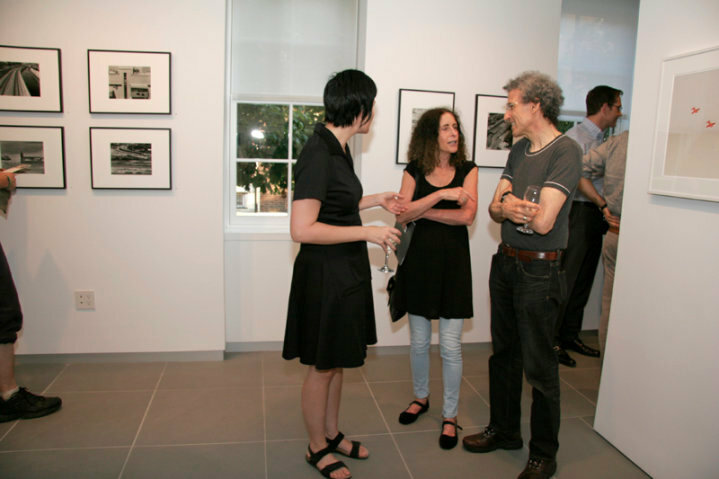 I am very excited to see the 16th juried exhibition reflect this." Please click here for the press release. Colberg selected 60 images for the show from more than 2,000 images submitted by 300 photographers. Two images from "Tel Aviv at 100", "Gordon Beach #2" and "Azorei Hen #1" were included. 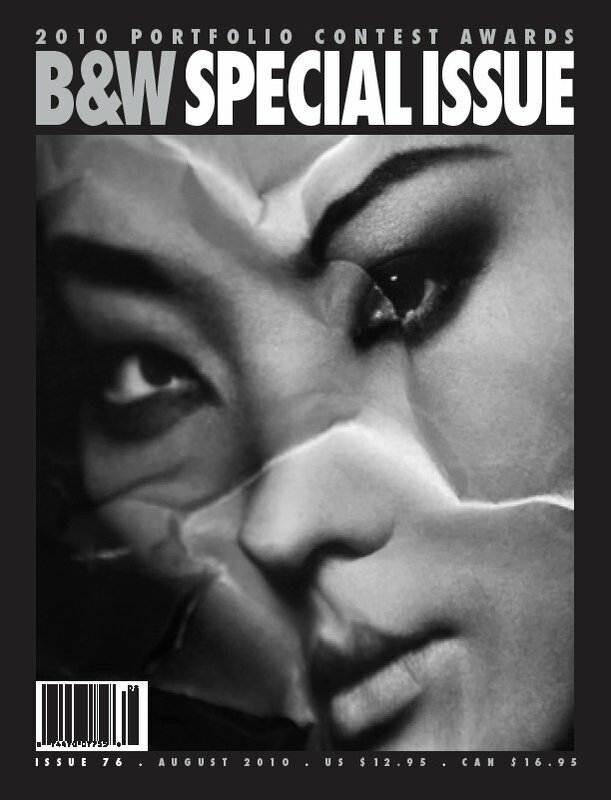 Black and White Magazine runs a portfolio contest every year, and the winners are published in a special portfolio issue. 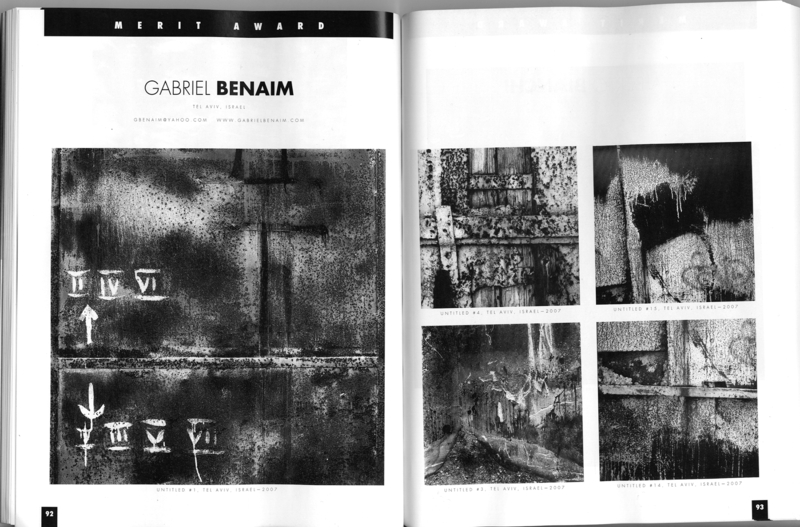 My series "Wall Art" received a Merit Award, and selections from it were published as a two-page spread in their 2010 Portfolio Issue. Please click here to see the feature. Here are some photos of my recent show at the Walter Keller Gallery for those who couldn't make it to Zurich. Thanks to everyone who came by. For those of you who can't make it to Philly this summer, here are some installation shots of my work in the "In Review" show at Gallery 339, which will be up through September 4. I'm very excited about taking part in an upcoming group show at Gallery 339 in Philadelphia. I'll be showing 8 images from my "Tel Aviv at 100" series, in conjunction with 9 other emerging photographers, including Philip Toledano, Kyohei Abe, Isa Leshko, and Joel Lederer. 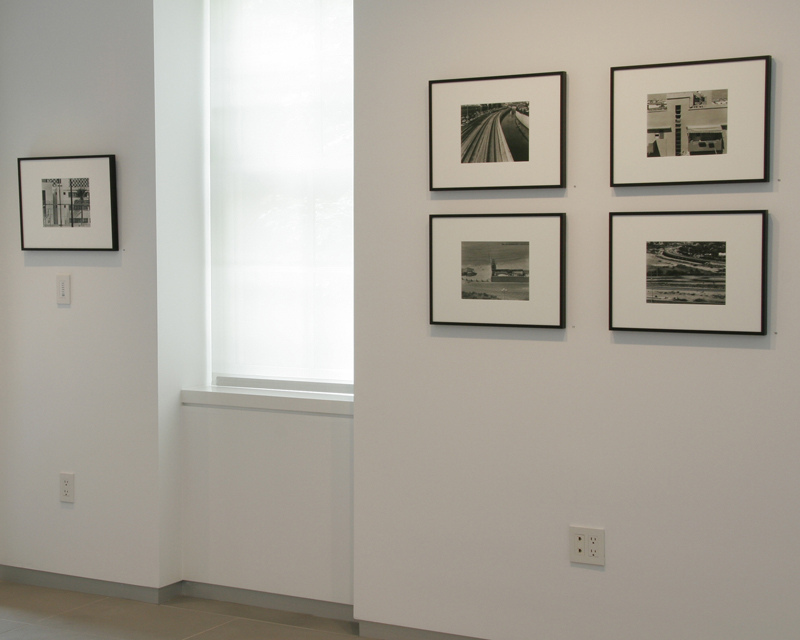 The show opens Friday, June 18, and will run through September 4. Please be sure to stop by if you're in the area. 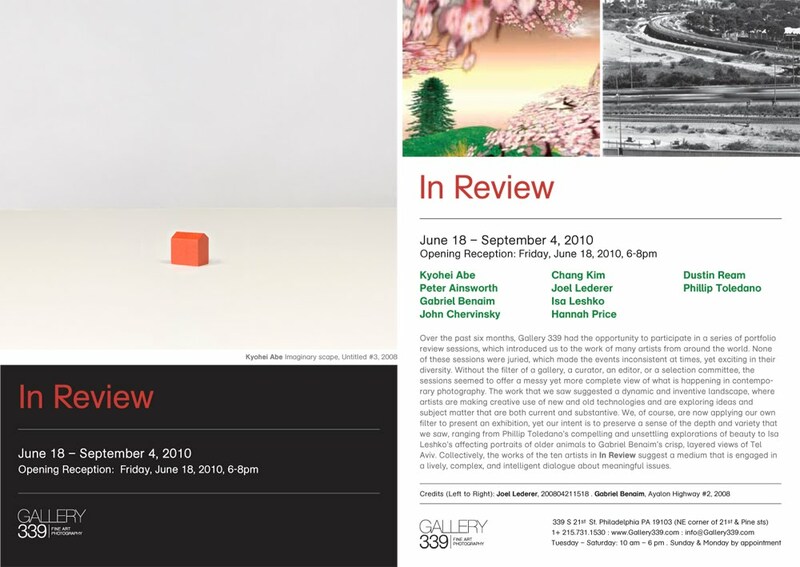 "Over the past six months, Gallery 339 has had the opportunity to participate in a series of portfolio review sessions, which introduced us to the work of many artists from around the world...The work that we saw suggested a dynamic and inventive landscape, where artists are making creative use of new and old technologies and are exploring ideas and subject matter that are both current and substantive. We, of course, are now applying our own filter to present an exhibition, yet our intent is to preserve a sense of the depth and variety that we saw, ranging from Phillip Toledano’s compelling and unsettling explorations of beauty to Isa Leshko’s affecting portraits of older animals to Gabriel Benaim’s layered views of Tel Aviv. Collectively, the works of the ten artists in In Review suggest a medium that is engaged in a lively, complex, and intelligent dialogue about meaningful issues." I'm thrilled to announce the opening of my first solo show at the Walter Keller Gallery in Zurich. I've been looking forward to this for some time, so it gives me great pleasure to have my work shown in such a great venue. Here's the press release for the show, and I'll have some installation views coming soon. 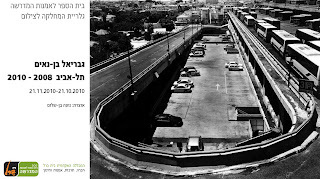 I am very proud to announce the first exhibition of Israeli photographer Gabriel Benaim(*1969). Choosing his series inspired by the city of Tel Aviv for his first international solo exhibition, Benaim presents us with emotionally intense, rigorously composed images that capture the unique light and fascinating architecture of this “white city by the sea”. 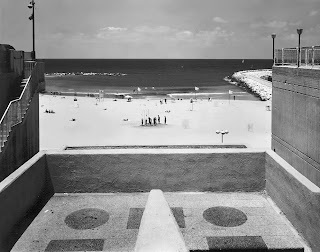 The unpretentious simplicity of Benaim’s Tel Aviv images appealed to me from the get go. Somewhat to my own surprise. Why was this? 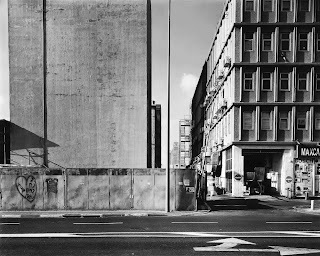 Am I developing a new conservative view on photography, as a consequence of having seen too many fervid large-size C-prints? No. The desire for discovering skillfully composed works, laden both emotionally as well as aesthetically that only the medium of photography can produce, has always been there. I am taken by the alertness, the quiet attention to detail of the images. 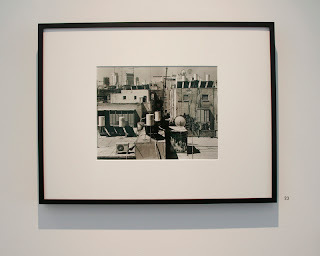 Strolling, leisurely meandering like a flaneur, Benaim captures this city that was founded 100 years ago. 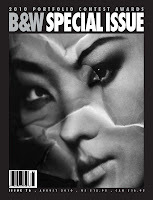 Using a large-format camera, Benaim presents us near perfectly produced silver gelatin contact prints. And this in itself is a breath of fresh air given the current confusion within the production of contemporary photography. Almost like a moment of silence in the midst of a noisy performance, Benaim’s images are calm, unhurried; photographs that pull the brakes on the race that is our urban life. Thursday & Friday 12 am - 6 pm, Saturday 12 am - 5 pm, Other weekdays by appointment. 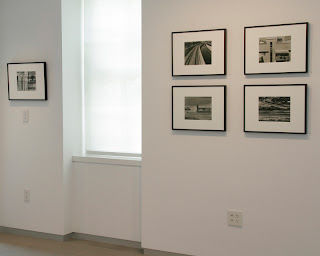 For images of the exhibition please visit our website as of April 30. 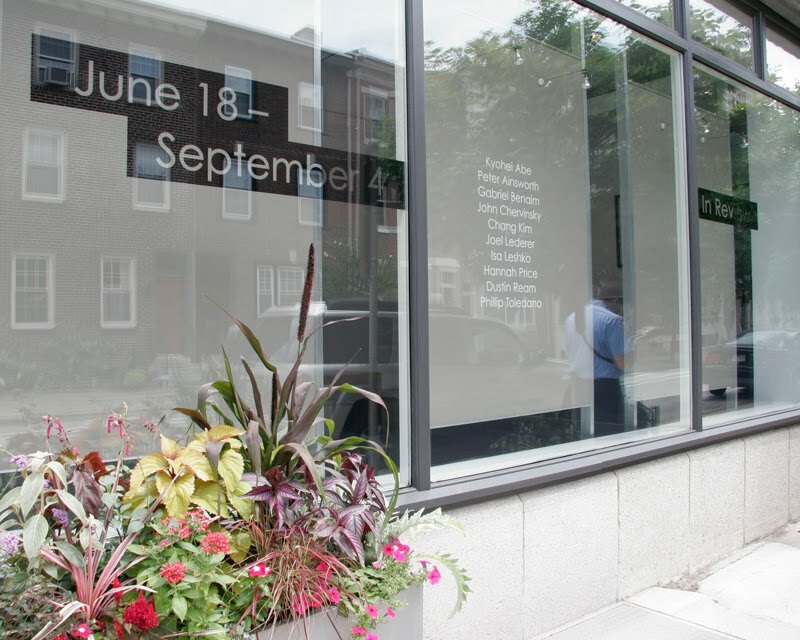 An artist's talk will take place at the gallery May 24. 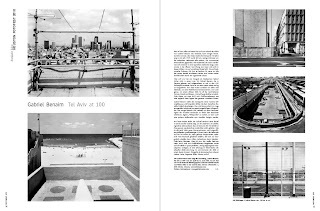 I'm pleased to announce that Photonews Magazine, Germany, has published a selection of my "Tel Aviv at 100" images in their current May issue, together with a short essay by Anna Gripp on my work (in German, will have a translation up shortly). "Stepping back from the urban flow, Gabriel Benaim views his city from above, revealing the sinuous lines and muscular patterns that form the armature of life in contemporary Tel Aviv." I had the pleasure of meeting Ms Ware last month at Fotofest in Houston, and spent some time showing her the actual prints of the work she'd chosen online. 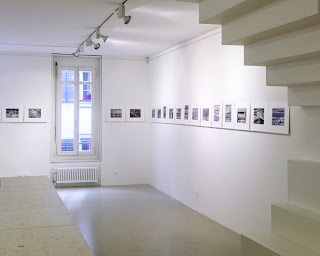 It was a real treat to make a personal connection with someone who knew me only through an online submission, and I'll write more about the whole Fotofest experience later this month. 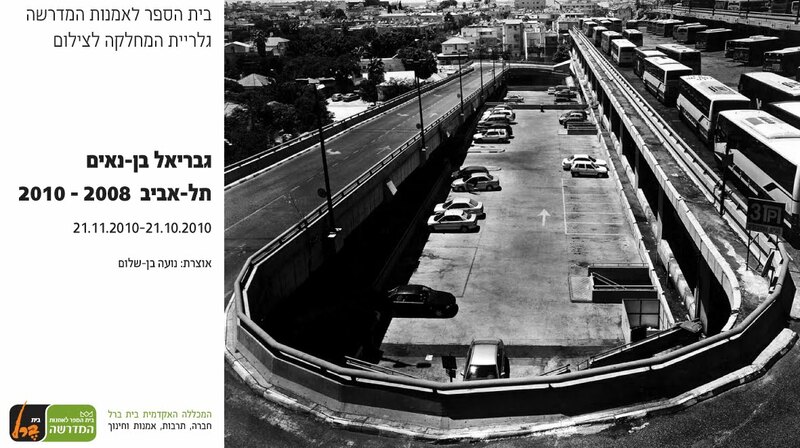 International Photobook Festival 2011, Kassel: "Tel Aviv at 100" Shortlisted for Dummy Award. "In Review" Group Show, Gallery 339, Philadelphia. Fine Art photographer living and working in Tel Aviv, Israel. For inquiries regarding fine print sales, exhibitions and publication, please contact me at gbenaim@yahoo.com. 5B4 is now 4B5 Books and Photography!